Who knew that tucked away inside the Mount Pleasant public golf course off Hillen Road sits a remarkably well preserved 150 year-old Methodist chapel? 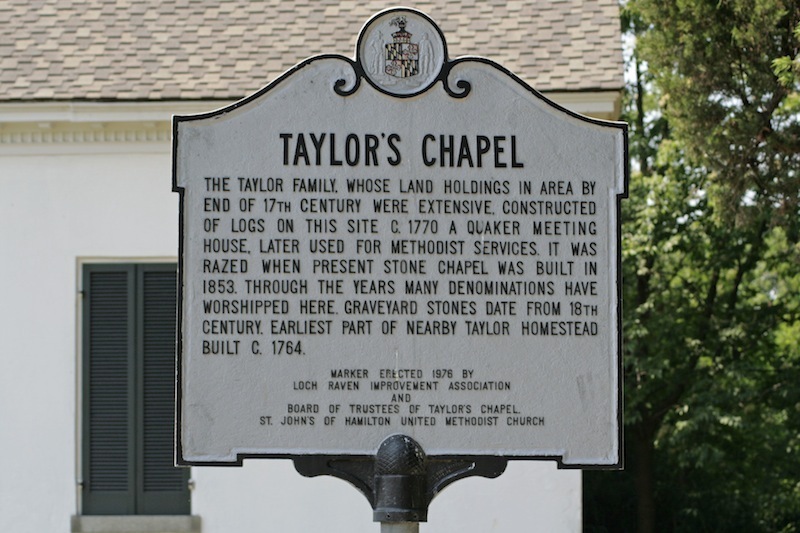 Taylor's Chapel has its roots to the Taylor family, which is one of the oldest in Maryland, stretching back to the 1600s. 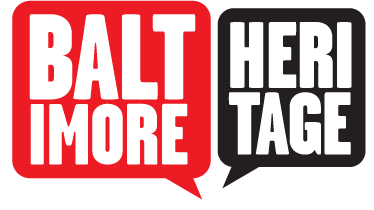 As brothers, John Taylor was one of the first commissioners of Baltimore County and Thomas Taylor ("Colonel Taylor" at the time) was a councilor to Lord Baltimore. The chapel was built on a tract Colonel Taylor's land called "The Ridge" where William Penn and Lord Baltimore first met to resolve their dispute over the boundary line between the colonies. 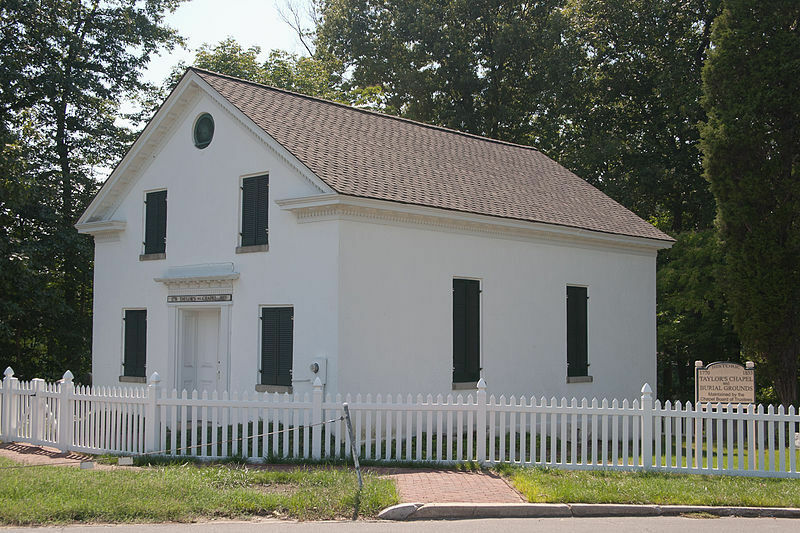 The Chapel has its origins in a Quaker meeting house that likely was built by Joseph Taylor in the mid-1700s on his property, called Taylor's Range (then in Baltimore County). Joseph was disowned by the Society of Friends for "speaking evil" of some fellow Quakers and refusing to apologize, and went off and built his own Quaker meeting house a little further away on the corner of his property. The Taylor Family kept this wooden building as a meeting house for a number of generations. Interestingly, the Quaker family allowed Bishop Francis Asbury, a leader in the founding of Methodism in America, to preach there in 1777. The conversion was surely slower that Bishop Asbury would have liked, but about thirty years later, the worshippers at the wooden building did indeed switch from Quakers to Methodists. In 1853, Elijiah Taylor inherited the property and tore down the log meeting house to build the Methodist chapel that stands today. By 1930, however, regular services had ceased and the building sat vacant until the early 1960s, when a group of volunteers from St. John's of Hamilton United Methodist Church began taking care of it. From parent to child over a number of generations, this group still acts as caretakers of this little known jewel, and opens it up for weddings, baptisms and other events. The building was listed on the National Register of Historic Places in 1983, and still contains the original 1853 frescoes on its walls, among many other original features. 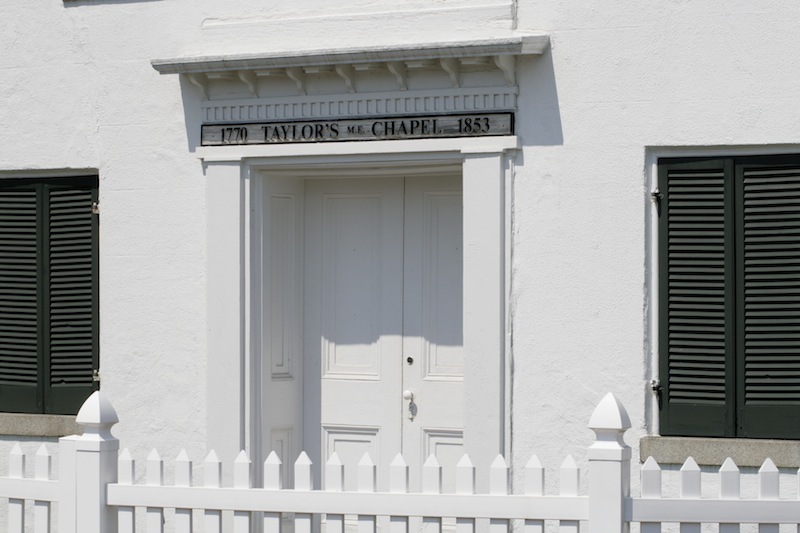 Johns Hopkins, “Taylor's Chapel,” Explore Baltimore Heritage, accessed April 23, 2019, https://explore.baltimoreheritage.org/items/show/44. Published on Apr 26, 2012. Last updated on Nov 27, 2018.